Our experienced consultants and research analysts provide independent research and consulting services to businesses. For an in-depth analysis of how America's demographics will shape your business' future, work directly with our team. Contact us to learn more about tailoring a consulting assignment to your specific needs. Thank you for your interest in our consulting services. How can we help? Please fill out this form and one of our consultants will be in touch as soon as possible. Biggest Shifts Since The Baby Boom. John Burns, Chris Porter, and their team support their analyses on America's changing demographics with more than 100 easy-to-read charts and plenty of facts. 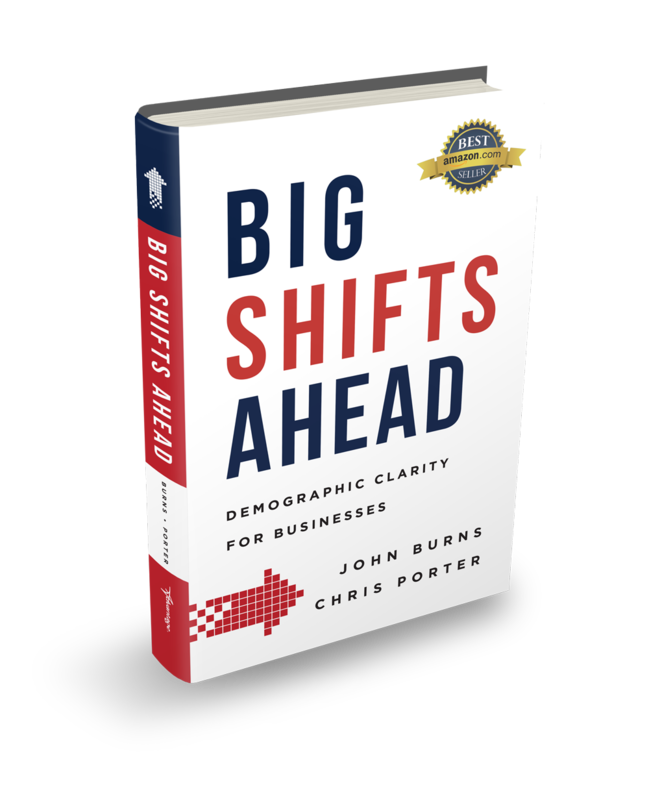 Those interested in properly preparing their businesses for the upcoming demographic shifts should read this book right away.